The Greater Rhea is the heaviest of all South American birds. It stands at 1 to 2m tall and is related to emus and ostriches. Unable to fly, these birds use their long, powerful legs to outrun trouble, while using their large wings for balance and to change direction as they run. Habitat: The Greater Rhea is originally from South America, but can also be found roaming the open and sparse woodlands of Argentina and Brazil. Population: Declining, mainly due to hunting pressures. Lifespan: The average lifespan in the wild is 15 years. Males incubate eggs laid by a number of females for up to six weeks. Incubation can vary and most eggs will hatch simultaneously. 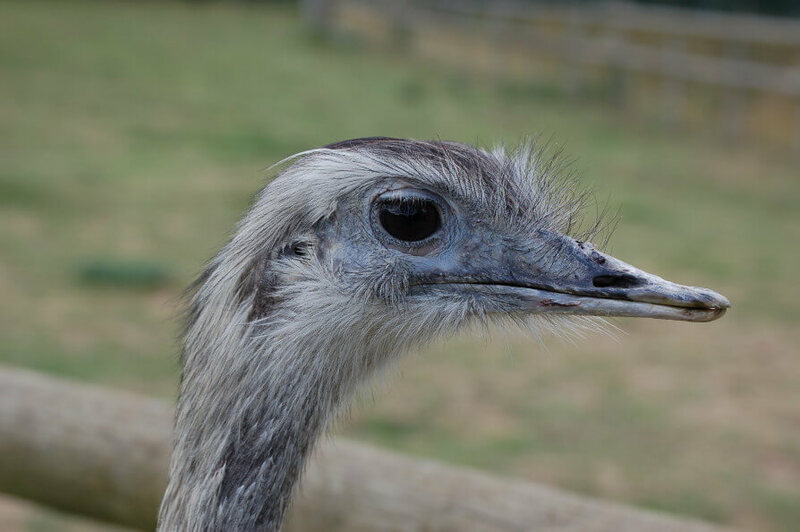 Males can brood up to 20 young and guard their young aggressively, charging any animal, even a female rhea which gets too close. Diet: Greater Rheas are opportunistic eaters. They like plants, fruits, and seeds but also eat insects, lizards, and birds. The birds particularly enjoy agricultural crops such as wheat. Behaviour: Rheas are social birds which flock together. Rhea are often found with other large animals such as deer, who form a mixed herd.